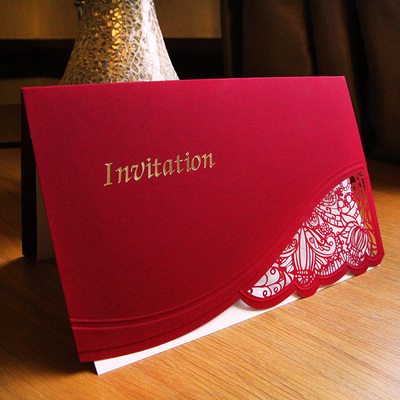 An invitation from the newest collection made from matte bordeaux paper. 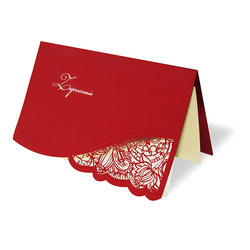 The lower left corner has been laser cut to resemble lace. 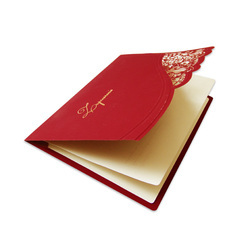 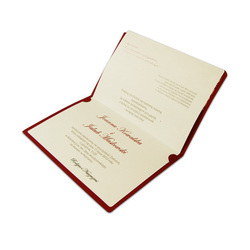 The invitation is also decorated with embossing and a gilded inscription of 'Invitation' The insert for printing text is ecru-coloured and matte. 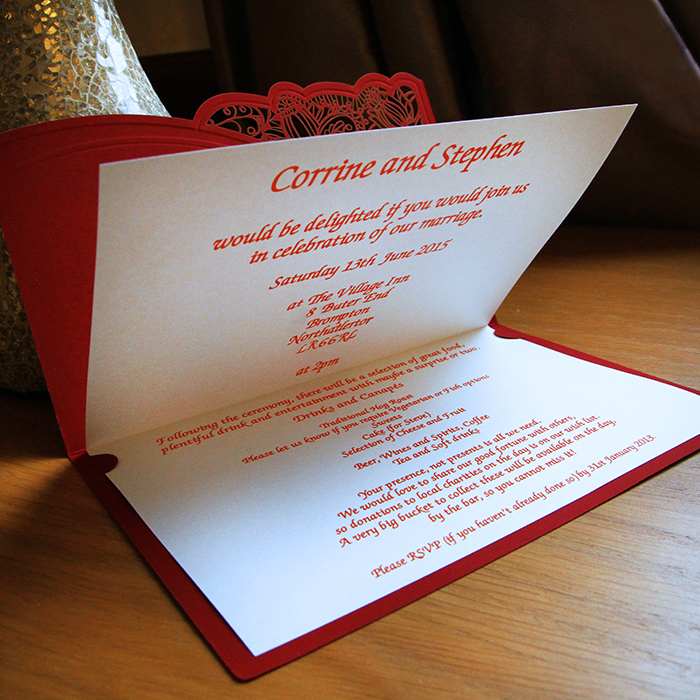 The invitation is created with great care and attention to detail. Precise printing, careful execution, and high quality paper. An envelope (130g/m2) is added for free.